• Bearing for vertical direction equipped super steel metal KNIFE EDGE system. • This Knife Edge material is specially made of super steel, and have very stable and smooth operation. • This Knife Edge is precision hand made, and result is to have very low friction. • Designed Hi-mass type system, and diferent kind of metal material used for anti vibration. • Simple mechanism create good reproduction sound. 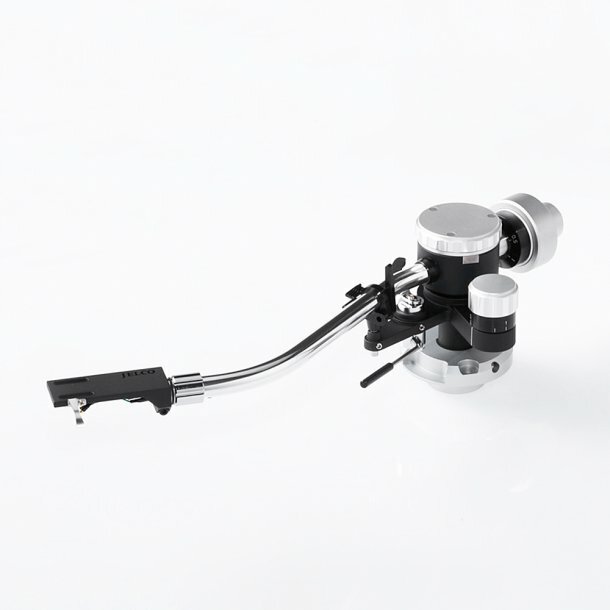 • The tonearm geometry allows for a Baerwald alignments which is IEC recommendations. • This universal type counterweight can be used from 17 to 35 grs cartridge weight including head shell. • TK-850S is fitted with a standard head shell and can easily be changed with other standard head shell (cartridge). • Headshell with adjustable azimuth.